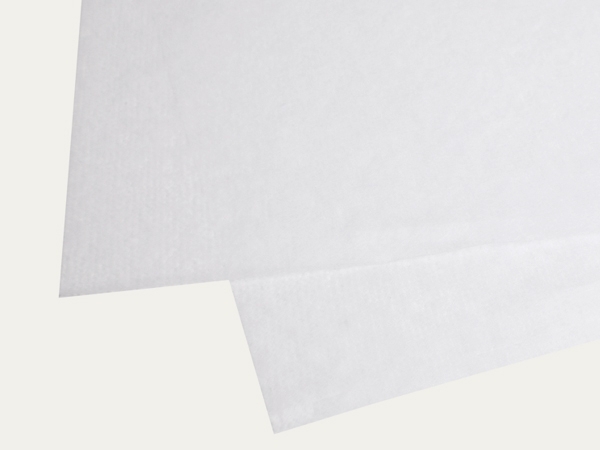 Japanese paper sheets without an alkaline buffer, weight 9.0 gsm, machine glazed single-sided. Suitable as interleaving sheets for archiving, conservation and preservation purposes – for example to laminate objects, repair cracks and fissures and also to mount objects such as graphics and photographs etc. Manufactured from long-fibred cellulose (Abaca/Manila hemp, bleached/totally chlorine-free) and without the use of optical brightening agents.